This guide will tackle those questions, and more, head on! 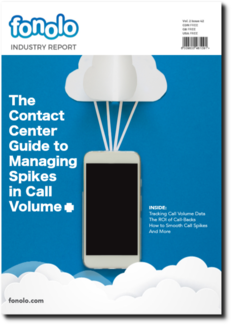 What happens when call volume gets out of control in your contact center? What strategy do you have in place to ensure that the customer experience doesn’t suffer? These sections will serve to support your goals of better managing surges in call volume; improving agent and customer experiences; and having all the necessary information at your fingertips for deciding on the right call-back solution for your contact or call center. When it comes to customer service, there will always be a role for a live conversation with an agent. Perhaps call volume has gone down over the years due to the availability of multi-channel tools and self-service. However, this just means that the transactions that end up with a live agent will a) be more complicated; and b) are more likely to involve an upset customer. As well, some customers may simply prefer to deal with a live agent and skip self-service tools altogether. For example, a study by Wells Fargo found that 60% of banking transactions are made by customers who still prefer to do business with a teller. According to Parature, voice continues to take the lead amongst all channels, but it’s not the most pleasant experience. The biggest problem with the voice channel, as many call center professionals know, is long hold-times. Typically, this is the result of volume spikes or contact centers simply being understaffed. Unfortunately, the effect is negative nonetheless – 60% of customers will abandon a call after just one minute of waiting on hold. This is a troubling statistic but, fear not, there is much room for improvement, as you will learn from the following guide. Before we dive in, we encourage you to take some time to analyze data from your contact center. Look at the previous two months and label the spikes as planned or unplanned. Note any patterns that are present within both the planned and unplanned periods. For instance, many organizations tend to have spikes on Mondays after being closed on Sunday. Most contact centers would take this data and use it for workforce optimization – in other words, staffing up for times when they know spikes will occur. The important thing to note with tracking is that it is an ongoing process. 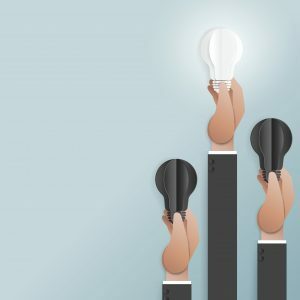 Changes in the marketplace or within your own organizations may dictate alterations in the trends – this is something you have to feel out as it happens. When a call center experiences peaks in call volume, hold times inevitably go up and abandon rates become an issue. This is the reality for call centers, and it can have a significant impact on the bottom line. Faced with this problem, many call centers will aim to fix it one of two ways: Staff up for peak periods; or find a way to eliminate hold-time. The first option is a great fix to the problem of spikes, but leaves your call center with excess agent capacity at other times when call volume is reduced, resulting in inefficiencies. The second option can be achieved through the use of call-back technology. Call-backs help “smooth-out” spikes in call volume by deferring calls (in a customer-friendly manner) to a time when there’s additional agent availability. In a sense, call-backs let you do a better job matching the demand for agent time with the supply in agent time. This results in more efficient use of resources. The relationship you have with your customers is the key to future success. Are you listening to them and effectively meeting their needs? According to a report, customer expectations are on the rise. 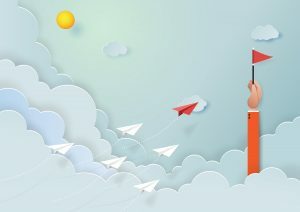 68% of customers have stopped doing business with a brand due to a poor customer service experience (for example, long hold times) and 56% have higher expectations for customer service now than they had a year ago. To keep consumers happy, customer expectations can either be met (what the customer would find acceptable) or exceeded (what most customers really want). However, from the customer’s perspective, there is a world of difference between the two, one being above and beyond what they expect in service. Call Center Leaders: Read the rest of this pivotal industry report. Download it in full below!